The ambition of Nergeco has always been to favor energy saving doors. “NERG-ECO” means Energy Efficiency. This is accomplished with fast and safe flexible doors adapted to each trade, each process and each site. 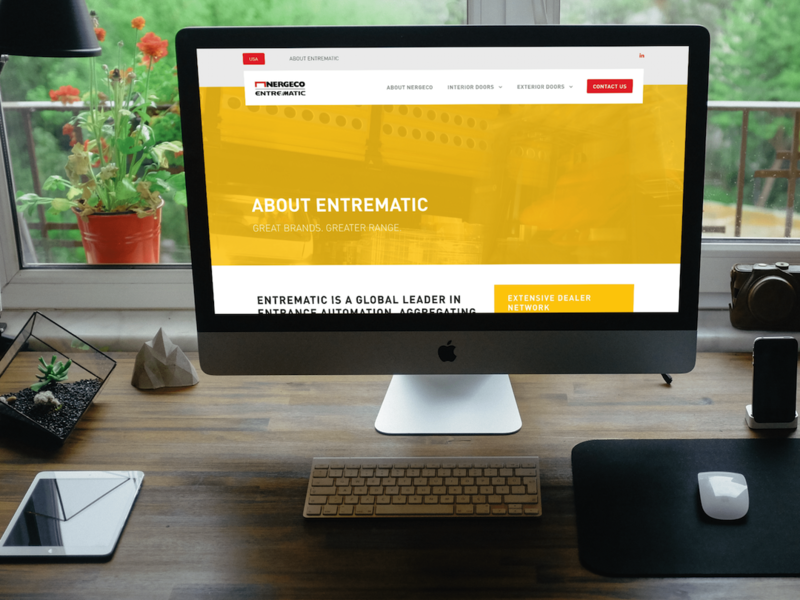 Since 2015, Nergeco has been a part of Entrematic, contributing to the portfolio of door and dock equipment for a wide variety of applications. Nergeco has a rich history of excellence in high performance door industry. With a focus on energy efficiency and safe, time-saving doors, there are considerable attributes to highlight in the Nergeco brand and expand the power and reach of existing sales channels. However, the current website was crowded and not optimized to efficiently educate and drive sales with clear call to action. 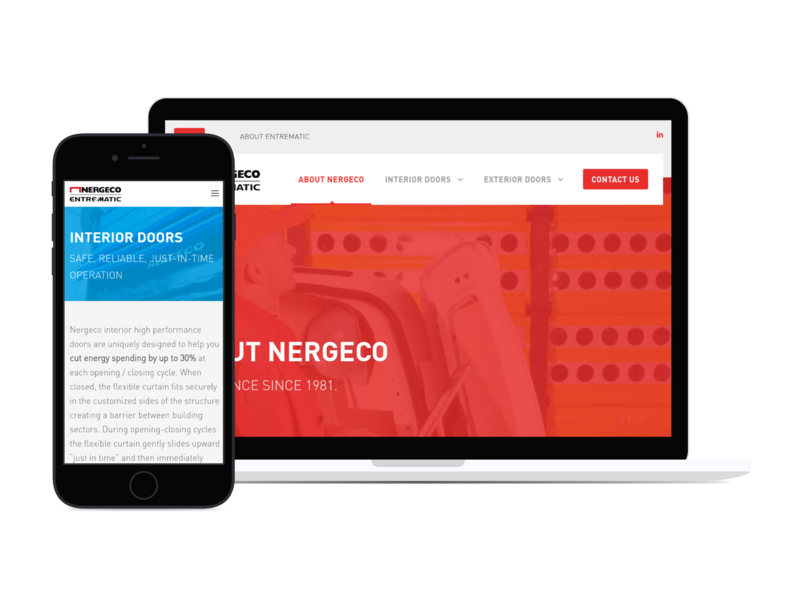 Absolute delivered a modern, highly efficient web presence with simplified product offering and sales process for Nergeco America. This brought the overall product line from over sixty product variations to a total of eight Interior/Exterior doors. Site structure was simplified to four highly optimized pages and individual product pages feature industry applications and cross-sell other Entrematic solutions. Social proof and clear calls to action are included throughout the site. Copyright 2018, Absolute IO, LLC. All Rights Reserved.